Our organization is fully indulged in offering a broad array of Strapping Materials. We offer a large variety of Strapping Materials in various sizes. 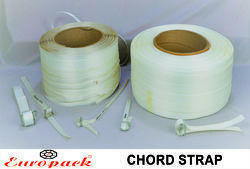 Straps of 12mm to 32mm are available with us; they are used for the packing of various products. Besides, we also offer poly straps, nylon straps, pets straps to facilitate the requirements of various packing industries.